Synopsis: I had just given my students a science test at a university and was on my way to get a bagel when I was faced with this billboard that is directly misinforming the public. Most importantly, fetal heart development doesn't begin until 3 weeks (aka 21 days) after conception and fetal heartbeat doesn't begin until 4 weeks (aka 28 days) after conception. 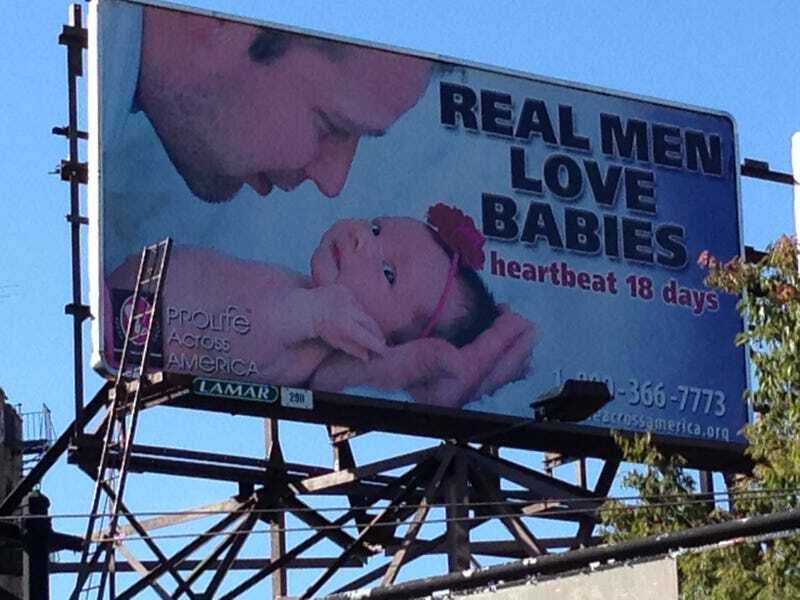 Also, I know men who don't love babies; thus, men can still exist without a love for babies.